Yesterday was September 13th, 2016. Seemed like a fairly innocuous day at dawn, but boy can things change. 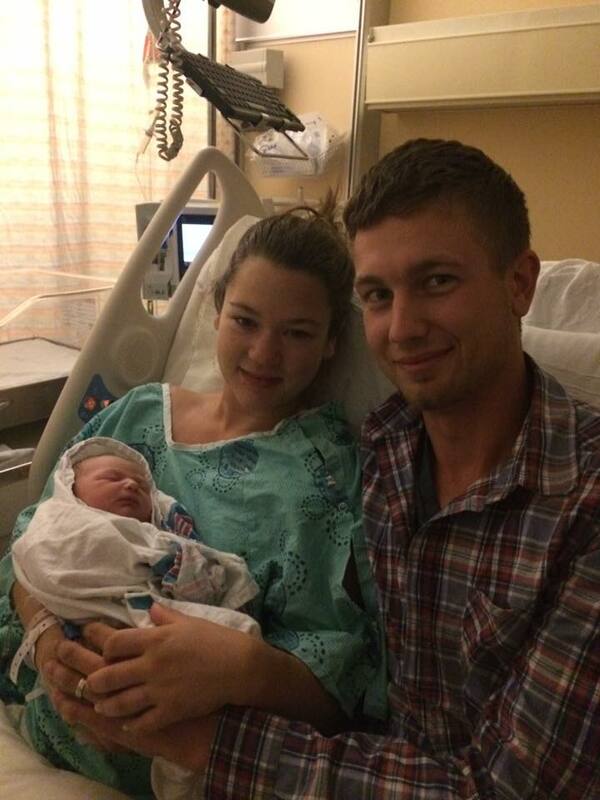 It started off with a text from our son-in-law that he and Jennifer were at the hospital and the baby was coming. By breakfast time we were grandparents to a lovely, healthy little girl. Her name is Annabelle Émilie Jodouin and she must be planning on being a mathematician having weighed in at Pi kilograms (3.14159265359 Kg). Both her and mommy are doing well and resting comfortably. She has a very good appetite I hear and has been nursing well. We are anxiously looking forward to visiting with them next week. Then during the winter they will be coming down to do some sailing with us for a week or two. During the morning we got out port engine work completed, and after a long process of bleeding the fuel system, got it fired up and running. She is purring like a brand new motor again. This is a great relief and has been a huge learning process. During the re-assembly it needed a new gasket for the thermostat housing. The local dealer had none in stock and it was going to take 3 to 4 weeks to get one in, so I made one. During grade 11 at Northern Secondary School in Toronto I took an Automotive Tech class and one of the things we learned was how to make a gasket. So we went to the local Autozone and bought a ball pien hammer and some gasket material, then came back to the boat and a 1/2 hour later we had a perfect, new, handmade gasket. Having never done one outside a classroom 35 years ago, I am very proud that it worked so well. Every morning we check the weather. Tropical depressions are rated with a percentage chance that they will turn into a tropical storm. During hurricane season (June 1 to October 31) you can see this on our blog as there is a hurricane weather map that shows all weather systems in the Atlantic & Caribbean. The disturbance that had come through the Bahamas at 20%, then dropped to 10% as it traveled up the Florida east coat, suddenly jumped to 70% as it reached St. Augustine area, and an hour later we were being battered with a full on Tropical Storm. Tropical Storm Julia formed right on top of us, battering us with wind gusts hit to 48 knots. Yes, we've been through worse, but it is still one heck of a storm. Sail Quest was still in storm prep mode however from Hurricane Hermine that ripped through 10 days ago, with only Kyle's kayak not being lashed down, and a few loose items around in the cockpit. After several hours of torrential rain and howling winds, things calmed down. Julia was a fast moving system so this morning it is already mid-way through Georgia, with nobody having any idea where she will go next. About the only safe place on the maps is directly behind her, where we are sitting. As we speak another huge storm is gathering off Africa's coast with it having a 70% chance of turning into a tropical storm in the next 2 days. If it continues building and travels across the Atlantic this could be the worst storm of the season so far. Only time will tell.